to the Houston Shaolin Temple website, home to Houston's official traditional Chinese shaolin kung fu school teaching many traditional Chinese Martial Arts, and also home to Master Shi De Shan, a 31st Generation Shaolin Martial Monk. Please browse through the site and learn a bit more about who we are and what we do. 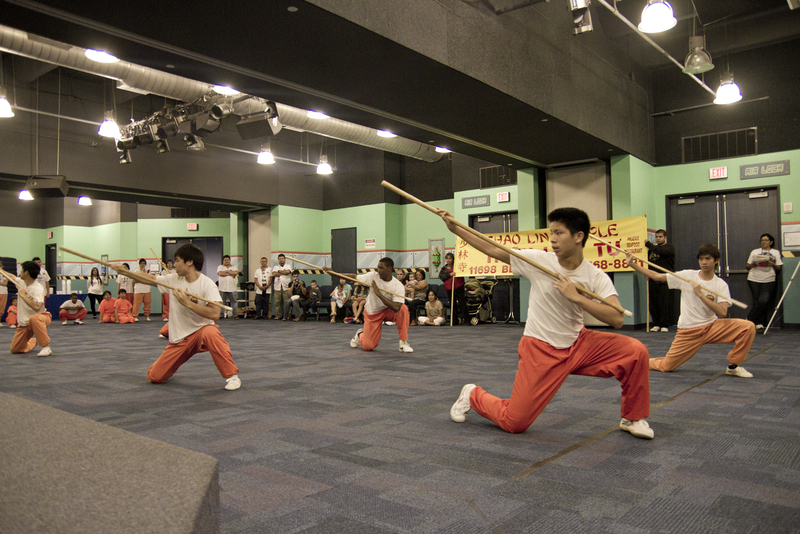 Houston Shaolin Temple students along with coach Shi Yan Jian perform the different animal styles and also drunken style at West University Elementary School. The school was having an international festival for the students and family members. Tai Chi – Lao Jia Yi Lu. Dasifu demonstrates the Taiji old form to the class. This form goes by the name Lao Jia Yi Lu. This is one of the most well known forms in Taiji. In observance to the national holiday we will be closed on Wednesday July the 4th. We wish everyone a safe holiday! Class will resume on Thursday the 5th. Summer’s finally here and SUMMER CAMP is up and running. 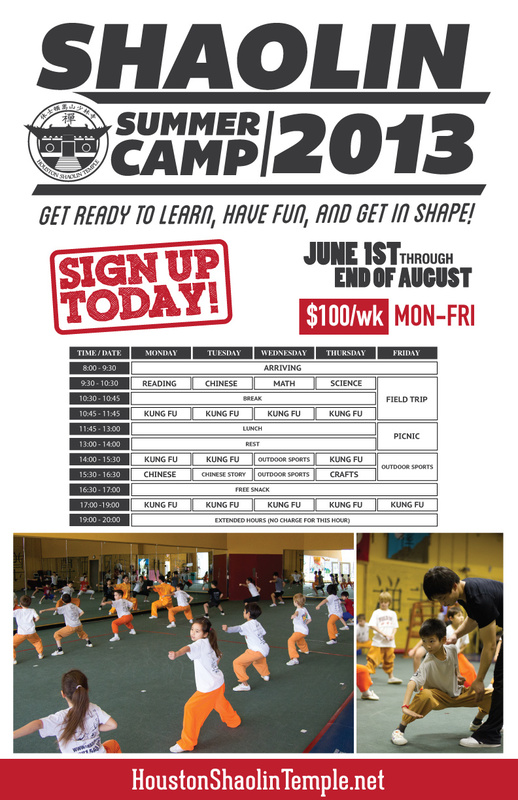 The kids play games, learn chinese, go swimming, train kung fu, and more! Call or stop by for more details!